Fits:-Suzuki Splash 1.0cc Petrol models made from:-2008 to 2014 with Part Number:- 1510073KA0000. 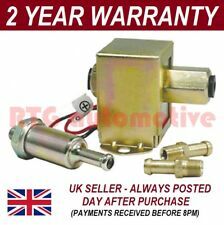 For Sale:-Suzuki Splash 1.0cc Fuel Pump with Sender Unit. New arrivals. We always try our best to help. (Other Details: 1.2 Petrol 08-14 year 1.2 petrol 1 pipe 4-pin 15100-73KA0-000. 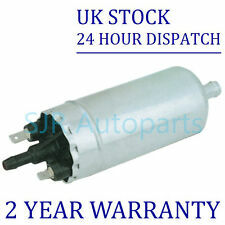 SUZUKI SPLASH Fuel Pump 0000355967. This item was removed from a 2008 vehicle. Jersey, Guernsey, Scilly Isles) as well as for the Scottish Highlands. 2013 Suzuki Splash 1.0 Petrol. Year: 2013 Fuel Type: Petrol. This has been taken from a 2013 SPLASH but may suit other models. Model: SPLASH Door Plan: 5 Door. Make: SUZUKI Transmission: 5 Speed. Vehicle Opel Suzuki. The vehicle match list is only intended to assist in your search. Part Number 0445010138-hochdruckpumpe-6. Auf'm Rottland 5. Opening hours Auf'm Rottland 5, 57577 Hamm/Sieg. Mileage in miles. Fahrzeug Opel Suzuki. Veicolo Opel Suzuki. Véhicule Opel Suzuki. Vehicle Opel Suzuki. Vehículo Opel Suzuki. Veuillez lire la déclaration de rétractation ci-dessous. The vehicle match list is only intended to assist in your search. Fits:-Suzuki Splash 1.0cc Petrol models made from:-2008 to 2014 with Part Number:- 1510085LB0. For Sale:-Suzuki Splash Fuel Pump with Sender Unit. New arrivals. We always try our best to help. The rest of the World = £23.65. SPLASH 2008 -2014 1.2 Petrol. Part:Fuel Pump. This Fuel Pump was removed from a2009 car and has been fully inspected. Part Number: FP5642. The introduction of emissions legislation into MOT tests during the following years, made Fuel Parts a popular supplier for this growing market. 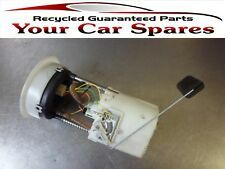 Fuel Parts In-Tank Fuel Pump - Part No. Part Number: LFP717. 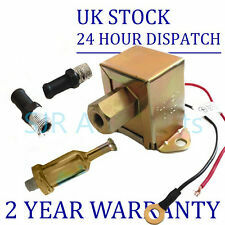 Lemark In-Tank Fuel Pump - Part No. We apologise in advance for any inconvenience caused. Direct Fit. Each unit undergo's strict testing to ensure parts are of OE specification at our in-house facility. Lambda Sensors. Spark Plug Tools. Glow Plugs. Spark Plugs. Denso Glow Plugs. DIY Car Service Parts. Kerr Nelson Fuel Pump Feed Unit. Suzuki Splash (EX) 1.2 Petrol (2008-). Suzuki Splash (EX) 1.2 VVT Petrol (2010-0). Vauxhall Agila (MK II) 1.2i 16V Petrol (2008-2014). The only way to be 100% sure that the part will fit your vehicle is to check the part number on your original unit matches one of the above. Suzuki Splash (EX) 1.2 Petrol (2008-). Suzuki Splash (EX) 1.2 VVT Petrol (2010-0). Vauxhall Agila (MK II) 1.2i 16V Petrol (2008-2014). The only way to be 100% sure that the part will fit your vehicle is to check the part number on your original unit matches one of the above. 4x Injektor Einspritzdüse Opel Suzuki Splash Swift 1,3 CDTI Z13DTJ 0445110083. Fahrzeug Opel Suzuki. Veicolo Opel Suzuki. Véhicule Opel Suzuki. Vehicle Opel Suzuki. Vehículo Opel Suzuki. Anno di costruzione 2008. Vehicle Opel Suzuki. The vehicle match list is only intended to assist in your search. 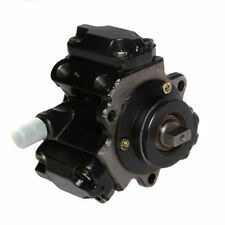 Part Number 55198933-hochdruckpumpe-19. Auf'm Rottland 5. Opening hours Auf'm Rottland 5, 57577 Hamm/Sieg. Mileage in miles. Vehicle Opel Suzuki. The vehicle match list is only intended to assist in your search. Part Number 55185549-hochdruckpumpe-61. Auf'm Rottland 5. Opening hours Auf'm Rottland 5, 57577 Hamm/Sieg. Mileage in miles. Injektor Einspritzdüse Opel Suzuki Splash Swift 1,3 CDTI Z13DTJ. Fahrzeug Opel Suzuki. Veicolo Opel Suzuki. Véhicule Opel Suzuki. Vehicle Opel Suzuki. Vehículo Opel Suzuki. Anno di costruzione 2008. Codice motore. Typ A3 TT Q3 Alhambra Superb Tiguan Passat CC Scirocco Golf. Vehicle Audi Seat Skoda VW. The vehicle match list is only intended to assist in your search. 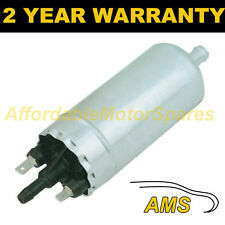 Part Number 03l130755d-hochdruckpumpe-32. Opening hours. Injektor Einspritzdüse Opel Suzuki Splash Swift 1,3 CDTI Z13DTJ L0311786. Fahrzeug Opel Suzuki. Veicolo Opel Suzuki. Véhicule Opel Suzuki. Vehicle Opel Suzuki. Vehículo Opel Suzuki. Anno di costruzione 2008. Injektor Einspritzdüse Opel Suzuki Splash Swift 1,3 CDTI Z13DTJ 0445110183. Fahrzeug Opel Suzuki. Veicolo Opel Suzuki. Véhicule Opel Suzuki. Vehicle Opel Suzuki. Vehículo Opel Suzuki. Anno di costruzione 2006. Injektor Einspritzdüse Opel Suzuki Splash Swift 1,3 Z13DTJ 0445110183 DE260604. Fahrzeug Opel Suzuki. Este artículo proviene de un vehículo siniestrado, por eso no se ha podido comprobar si funciona ni si contiene defectos ocultos. Injektor Einspritzdüse Opel Suzuki Splash Swift 1,3 CDTI Z13DTJ L0311274. Fahrzeug Opel Suzuki. Veicolo Opel Suzuki. Véhicule Opel Suzuki. Vehicle Opel Suzuki. Vehículo Opel Suzuki. Anno di costruzione 2008. Universal 60mm Fuel Filter Bracket Mount Clamp Fits Bosch 044 Pump Billet Aluminum Black. Title : Fuel Pump Mount Mounting Bracket Clamp Cradle. 55mm (with the thick insert). aluminum alloys. We will reply you within 24- 48 hours. Typ A3 TT Q3 Alhambra Superb Tiguan Passat CC Scirocco Golf. Vehicle Audi Seat Skoda VW. The vehicle match list is only intended to assist in your search. Part Number 03l130755ac-hochdruckpumpe-6. Opening hours.